Our company is a well recognized name in manufacturing PVC Films which are available in standard quality. These films are very well characterized by durable performance. We used very good quality of materials. "We are entertaining only Bulk Orders "
Our material is manufactured on highly advanced calendar line and thus we have the ability to manufacture PVC Super Clear Films transparent film with near zero fish-eyes or gel marks and flow marks and with a very high degree of transparency and surface luminance. Normal PVC Transparent Clear Films is used as crystal tablecloth, cosmetic bag, shower curtains and etc. Super clear are used in inflatable toys, flocking air etc. 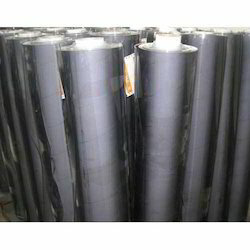 These are used for covering calendars, notebooks, stationery bags, textbook package and so on. PVC film super clear used as lining for glasses case, huff sofa/bed/toy and gift boxes are the major demand. It has fine transparency and brightness, always used in brand paper spray-ink of advertisement and photographic film. It is suitable for packaging purposes. 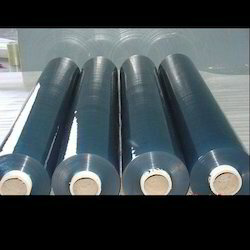 Colored Transparent Films are also manufactured by us. Our factory produces Crystal Clear PVC Film also as per customer's demand.